Amie Whittemore is an educator and co-founder of the Charlottesville Reading Series. She earned her MFA from Southern Illinois University Carbondale and her poems have appeared or are forthcoming in North American Review, Smartish Pace, Gettysburg Review, The Missouri Review Poem of the Week, Yemassee, Cimarron Review, The Hollins Critic, Sycamore Review, and elsewhere. She has won a Dorothy Sargent Rosenberg Poetry Prize, the 2012 Tennessee Williams / New Orleans Literary Festival poetry prize, Beullah Rose Poetry Prize, and a fellowship to the Vermont Studio Center. Her first poetry collection, Glass Harvest, is forthcoming from Autumn House Press in summer 2016. Tara pokes at her pizza with her fork and avoids looking up at Christy. They’ve been friends since kindergarten—Christy, the only one of their classmates not immediately horrified by Tara’s condition. On the first day of school, Tara slipped on the playground and her scraped knee bled a bright orange. The boys pointed and called her an alien. The girls gathered into a cloud of pastel dresses and spoke in hushed voices. Only Christy ran over and asked if she was okay, asked if she could touch Tara’s blood. “Cool,” she whispered, her index finger wet and orange. Christy sighs and slides her chocolate milk across the table to Tara as a peace offering. “I won’t be transferring until the fall and I’ll still live here. We’ll see each other tons,” she says. Tara shakes her head and green dust flicks off her hair as it returns to its normal brown color. She bites her lip, turning it a bright purple. The popular girls, sitting a few tables away, mock her, biting their lips and snickering. Christy runs her tongue over her braces. “I better brush my teeth before band. Come with me?” she asks, standing up. Lunch is almost over. As she enters Mr. Hammond’s classroom, gazing at the risers, the paper musical notes hanging from the ceiling like wind chimes, Tara feels a sense of ease wash over her. Singing has always soothed her, even as a toddler, according to her mom. When her parents were first learning about her condition—a rare, hypersensitive form of synesthesia—they were afraid she was in pain every time her hair changed color or her skin sprouted tiny blades of grass. 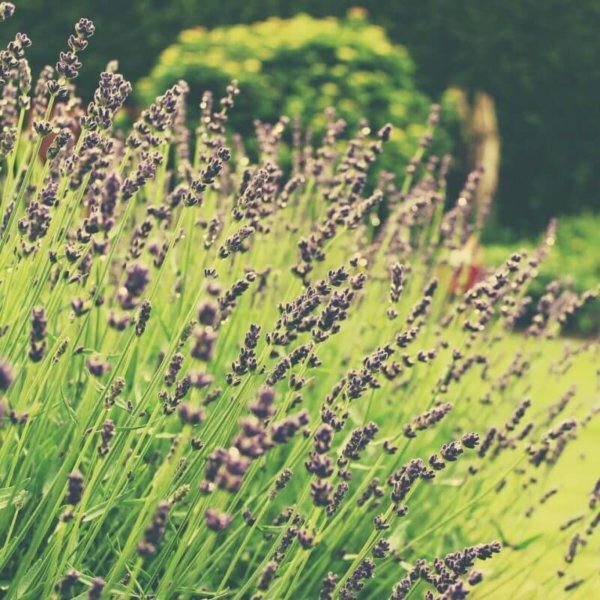 They sang her nursery rhymes, Christmas songs no matter the season, and she immediately laughed and sang along, her mouth filling with a taste she described as “sideways lavender.” With time, Tara no longer felt shocked by her symptoms. Now, at the age of twelve, she saw her condition as a perpetual annoyance. Tara plops down in her spot on the third riser in the alto section, folding her arms over her knees and burying her face against her jeans. Her classmates start to trickle in, not one of them acknowledging her. She’s given up trying to explain she’s not contagious, given up smiling at anyone, even Kirsten Hardwell, who shares the third riser with her. Kirsten is chubby and hasn’t entirely shaken off a lisp, so Tara still hopes one day all the ridicule she receives will turn Kirsten’s way. Smacking her gum, Kirsten steps onto the riser, a good foot away from Tara. Mr. Hammond raises his arms to signal the choir to settle down; the class snickers at the sweat stains on his button-down shirt. “Let’s warm up,” he says, leading the class through multiple rounds of “Mommy made me mash my M&Ms.” Tara begins to taste M&Ms, her mouth growing so thick with the melty, sugary flavor, she starts coughing loudly. Her coughs cause miniature dandelions to sprout along the part in her hair. The choir falters, laughter breaking through the tongue twister. “Enough. Let’s move on,” Mr. Hammond commands. The class quiets down as he passes around copies of “My Favorite Things,” explaining this will be the last song they’ll learn before the spring concert. He instructs them once again in how they’ll learn the song segment by segment: they’ll sing the first page so many times, Tara will feel slightly nauseous when they finally move on to the second, then again when they finally reach the third. After about a week of tedium comes Tara’s favorite part: putting the whole song together. Each time it gives her a satisfaction like putting the last piece of a puzzle in place. It makes her forget her disappointment about being an alto. “Let’s take it from the top,” Mr. Hammond says. “Sopranos, I want you here.” He holds here in the air like a ladder rung for them to reach; the sopranos hum. “Men, I want you here.” He digs here into the earth and the boys try to reach it. “Altos sing right here.” Here becomes a bell anyone could ring, or so Tara thinks. Being an alto is like being told you can’t sing, Tara explained to her parents after the horrible day when each student had to stand at the front of the class and run through scales before Mr. Hammond assigned everyone to a section of the risers. She hums the note and a blue fuzz of electricity loops her neck. They go over and over the first section of the song until roses covered in raindrops and bright copper kettles soothe Tara’s sorrow. Her shoulders drop, her mouth opens wider, holding each note more perfectly every time she passes over it. She relaxes so much, rose petals begin to bulge then slip from the tips of her hair—big red petals she’s only experienced once before, the prior summer. She spent a weekend with Christy’s family at their cottage on Lake Michigan, eating roasted marshmallows by the fire and telling ghost stories late into the night, lightning bugs dotting the trees. When the rose petals appeared, Christy and her parents murmured in admiration. Now, Kirsten Hardwell shouts, “Oh my God, I cannot stand next to this freak anymore!” Kirsten pushes down the risers and runs into the hall. The rose petals dry around Tara’s feet before disintegrating—none of her symptoms last long once they leave her body. Clumps of friends sit down on the risers, some of them doodling in notebooks or passing notes, no one talking to Tara. She wants to cry, wants Christy to walk in the room, flute in tow, and say, Let’s get out of here and start a two-girl band. Tara wants to scream and have snakes unfurl from her fingers, slinking toward her classmates. To slap the first girl who laughs and leave a dark stain on her face forever. But when she screams, her eyelashes grow. And she can’t actually imagine slapping someone. When class ends, Tara fiddles with her shoelaces to make sure everyone leaves the room before her. She hopes Mr. Hammond says nothing to her and, though he looks at her for an extra moment with his calming gaze, he doesn’t. Tara shakes her head. “Actually, Kirsten Hardwell asked me to hang out with her.” The lie slips from her mouth before she has time to think. It tastes like an unripe pear, hard, but not entirely unsweet. That evening, Tara camps out in the basement den, nestled in her pink beanbag chair. A mindless sitcom plays on the TV and her math book lies open on her lap, homework untouched. She looks at the empty red beanbag chair beside her—Christy’s spot. She throws her book on it. She hums, restlessly flipping through the channels, then decides to learn the rest of “My Favorite Things.” After closing the basement door and turning the TV up loud so her parents can’t hear, she pulls the sheet music from her backpack. At first, the lines feel too full of words. She can’t get the rhythm right without the piano accompaniment. She goes over it again and again though, relishing the freedom to reach the fleet of ties at the end, their curves tugging that final note of “bad” across each measure. Her mom calls her up for dinner. “Just a minute,” she yells back. One more time, she thinks, sitting up straight, steadying her breath. Wild geese fly out of it. Snowflakes paper her eyelashes. She lands perfectly on the final note. It tastes like butterscotch and raspberries, then heavy cream. She hangs on, her lungs aching, determined to never let it go.